Apple is all set to unveil its iPhone 2018 lineup at a launch event slated for September 12 at the company’s Steve Jobs Theater in California. From the barrage of rumours that have made their presence felt in the past few months, it is anticipated that Apple will unveil three new variants – an iPhone X successor with a 5.8-inch OLED panel, a larger 6.5-inch model, and a cheaper 6.1-inch LCD model. In the most recent development, alleged dummies of the 6.1-inch LCD model have been leaked in four colour variants, showing off the phone’s design elements, as well as a dual-SIM card slot. The images come to us courtesy a tipster on SlashLeaks. 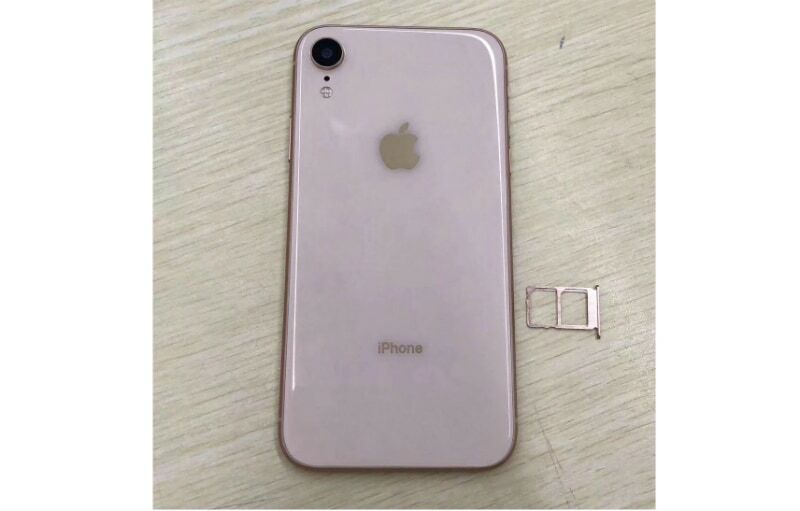 The 6.1-inch unnamed iPhone 2018 LCD model has been seen in Red, White, Blue, and a subtle Rose Gold hue. The presence of a single rear camera setup suggests that these are dummies of the LCD model, however we cannot verify the genuineness of the leak. Apart from that, the Apple logo and iPhone branding are seen on the back panel of all three phones that appear to have a glass finish. On the bottom is the Lightning jack. However, what disputes the accuracy of the dummies is that the lock button, placed on the right, is seen to be abnormally larger than normal. A SIM tray is seen below the lock button. Interestingly, a new dual SIM tray has been shown in one of the leaked photos, which is on the lines of previous reports claiming that the LCD model will get an optional dual-SIM variant, albeit exclusive to markets such as China. While the front of the smartphone has not been shown, we can expect it to sport an iPhone X-like all-screen design with a display notch. Just after the media invites for Apple’s September 12 event were sent out, a report showed off renders for the upcoming variants of the iPhone Xs and the Apple Watch Series 4. While the former duo are expected to borrow the design language from their predecessor, iPhone X, the Apple Watch Series 4 is expected to get a design with thinner bezels.